We’d love your help. Let us know what’s wrong with this preview of Relaxing the Writer by Amber Polo. To ask other readers questions about Relaxing the Writer, please sign up. I hope this helps a lot of writers and readers, too. We all spend so much time sitting. ~ Carolyn Howard-Johnson, novelist, poet and author of the multi award-winning HowToDoItFrugally series for writers. 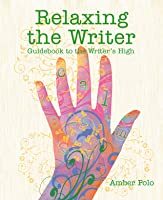 “Relaxing the Writer is packed full of easy-to-do relaxation tips, not just for writers - I hope this helps a lot of writers and readers, too. We all spend so much time sitting. ~ Kari Thomas, award-winning paranormal romance author. ~ Laurie Schnebly Campbell, writing teacher (online & live), and author of Believable Characters. “Bridging the mind-body connection, Amber Polo’s Relaxing the Writer treats the whole writer, providing specialized relaxation techniques for increased health and enhanced creativity. A must-have for every writer’s how-to bookshelf. ~ Kris Neri, Lefty Award-nominated author of High Crimes on the Magical Plane and co-owner of The Well Red Coyote bookstore. A relaxed writer is a creative writer. It’s common sense really. How do we expect to have and keep that flow when we are stressed out, uncomfortable, and distracted? Relaxing the Writer looks at things that writers can do to reduce their stress so we can get those creative juices flowing. The book looks at things like where we are writing to see if that really is the best place and how to make that space more suitable to the task. There are also some really good exercises that can be done throug A relaxed writer is a creative writer. It’s common sense really. How do we expect to have and keep that flow when we are stressed out, uncomfortable, and distracted? Relaxing the Writer looks at things that writers can do to reduce their stress so we can get those creative juices flowing. The book looks at things like where we are writing to see if that really is the best place and how to make that space more suitable to the task. There are also some really good exercises that can be done throughout the day to release tension and stretch out tight muscles. Relaxing the Writer is a very good reference book on how to relax our body and mind. It also gives a lot of techniques on stretching and relaxation techniques from sitting and to take a break. I like the book every much since it came with a CD for meditation and a demo CD on how to massage the hand. This book is really helpful. I read it a lot because I'm quite prone to writers block. Luckily, though, I got this book, because it has helped me a lot. I would recommend this book to any aspiring writer. Amber Polo’s lifelong love of libraries and dogs led to a fascination with lost ancient libraries and curiosity about why werewolves outnumbered dog-shifters in literature and inspired her urban fantasy series The Shapeshifters Library. The mystical side of Sedona became the comic paranormal setting for Hearts in the Vortex. One day a plane flew past her office window and she turned her pen to her Amber Polo’s lifelong love of libraries and dogs led to a fascination with lost ancient libraries and curiosity about why werewolves outnumbered dog-shifters in literature and inspired her urban fantasy series The Shapeshifters Library. The mystical side of Sedona became the comic paranormal setting for Hearts in the Vortex. One day a plane flew past her office window and she turned her pen to her own airpark backyard and Heads in the Clouds was the result. Author of award-winning fantasy and Arizona romances, Amber relaxes stressed writers and readers. Relaxing the Writer offers a catalog of suggestions and simple exercises while her calming CDs help almost anyone relax and find restful sleep. After living in seven states, she’s settled in a small Arizona town.